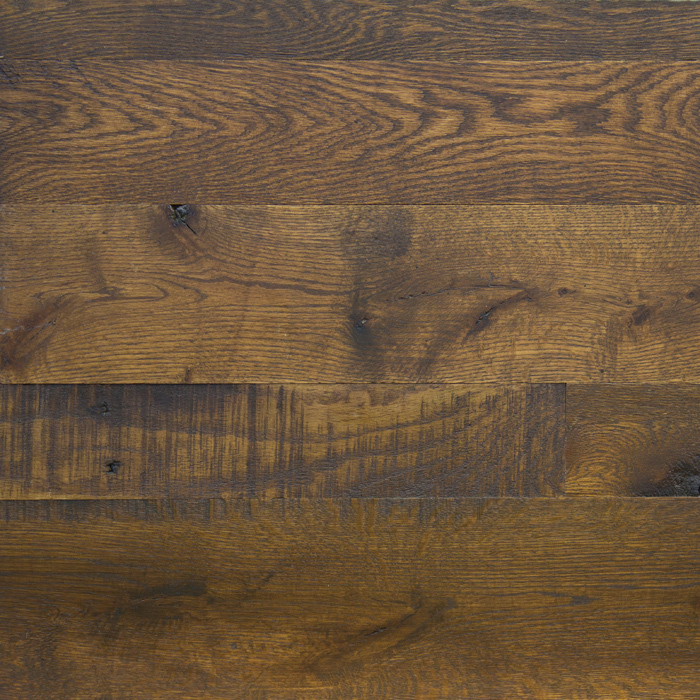 oak flooring Archives - reSAWN TIMBER co.
reSAWN is pleased to introduce 4 new designs on reclaimed hemlock inspired by reclaimed barn siding. The reclaimed hemlock is wirebrushed with a stain/sealer. The colors have been carefully curated by our product developer to reflect the colors typically found on reclaimed barn siding. Designers can now specify a reclaimed wood product that looks like barn siding without the concerns of lead paint that can sometimes be found on old barns. 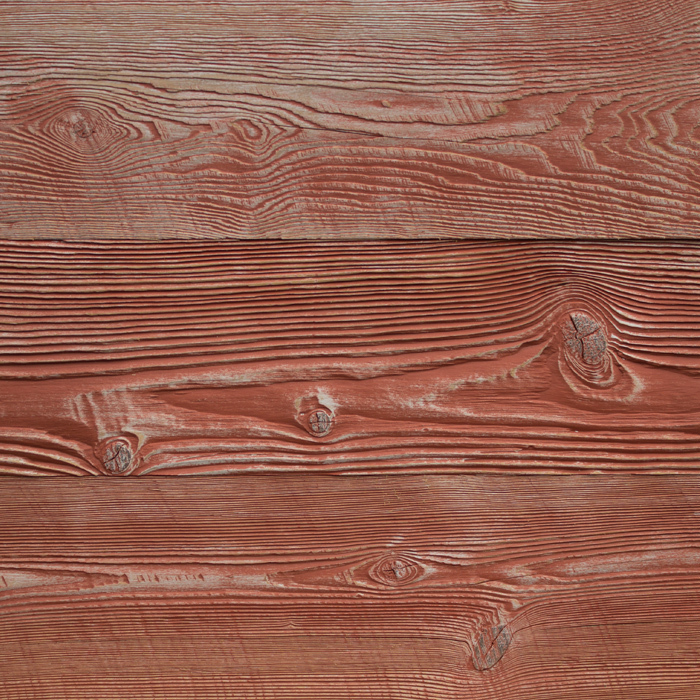 The beautifully rustic reclaimed hemlock adds variation and fluidity to these designs while the stain/sealer allows for a more consistent all over color than can be achieved with reclaimed barn siding. Additionally, reSAWN is pleased to announce the introduction of OLD FASHIONED and SAZERAC to our offering. These are newly harvested original white oak that is then hand crafted to look like reclaimed wood – including saw marks and nail holes. They are then prefinished with a non-toxic 0-VOC hardwax oil finish. This private residence in Sonoma County features SNOW 6″ wide oak flooring customized with a matte polyurethane finish as specified by Nick Noyes Architecture. In the heart of Sonoma Valley, the charming village of Glen Ellen is steeped in a blend of Sonoma County wines, local dining delights, and the valley’s natural beauties. Operating out of a converted warehouse in the Dogpatch/Potrero district of San Francisco, Nick Noyes Architecture has found a prominent place in the architectural community of the Bay Region and beyond. Founded in 1992 this nationally and internationally published and award-winning firm concentrates on new residential construction and residential renovations. The firm is noted for consistently producing work that is both rich in formal clarity and expressive of the material nature of construction. On all projects particular attention is paid to client satisfaction, an appropriate response to site and context and the inclusion of environmentally sensitive and sustainable methods. SNOW from reSAWN’s BARK SIDE collection features a textured surface on original cut white oak. For the Glen Ellen residence, we created a custom version of SNOW using a matte polyurethane finish on 6″ wide whit eoak. ORIGINAL CUT is a way of cutting the log that incorporates plain sawn, rift sawn and quarter sawn grain patterns and all grades and character marks into the final product. 66 Summer Street is a residential high-rise in the heart of Stamford, CT featuring reSAWN’s wide plank oak flooring. 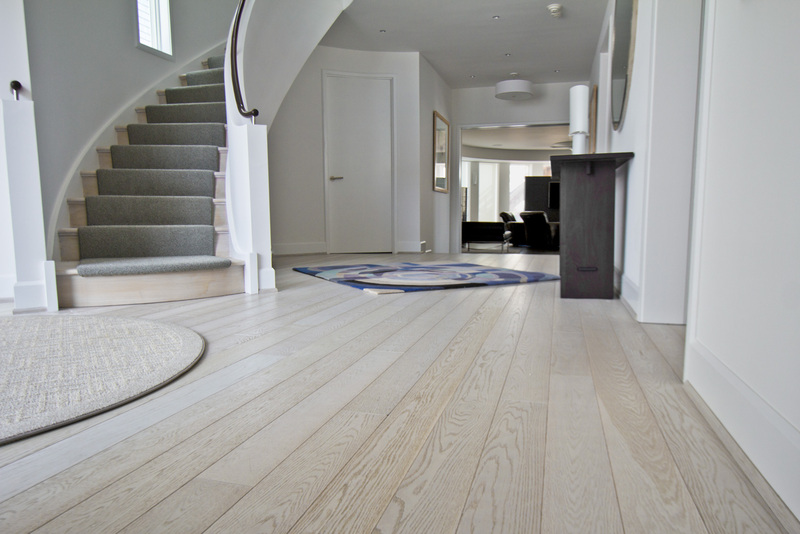 This engineered floor has a substantial 6mm wear layer and is 7″ wide to accentuate the unique character and grain pattern of white oak. The flooring was finished with a custom stain designed specifically for this project. Trinity Financial is the team behind the 15 story development, part of Stamford’s Park Square West redevelopment initiative. With a unit mix of 112 one-bedrooms, 12 one-bedrooms with den, 68 two-bedrooms, 12 studios and five two-level townhomes, the new residential high-rise boasts solid construction quality with a concrete and steel frame building and exceptional amenities. The development offers breathtaking park, city and water views with spacious layouts. Only the highest quality materials were used – not only to ensure a building with integrity, but also to provide a quiet, more energy-efficient environment for residents. Each floor alternates between light and dark interiors designed by SLADE architecture in NYC including reSAWN’s wide plank oak flooring. Residents can enjoy exclusive access to community amenity spaces including the Velocity fitness center, Solstice three season roof-deck, library lounge, club room and yoga studio.